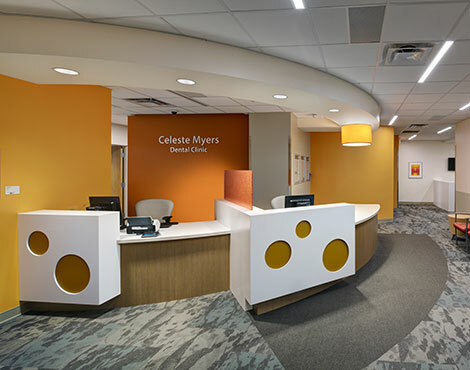 Interior Design - Space Planning, FF&E, Artwork Selection, Signage - Hasenstab Architects - Located in Northeast Ohio, Hasenstab Architects specializes in healthcare, simulation, laboratory, research, higher education, k-12, and office design. Our interior design team focuses on you to learn where your organization has been, where you are today and what you want to be in the future. 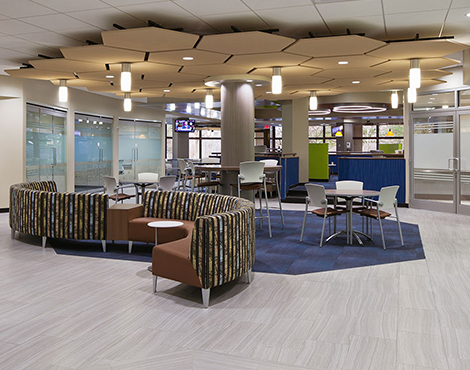 We consider aesthetics, budget, flexibility, functionality, inclusiveness, safety, and sustainability to deliver thoughtful designs for the next phase of your business. We strive to create places where patients heal faster, students want to go to learn, scientists create their next discovery, and people feel good about spending their time. Your space is your brand. It impacts how people perceive your organization and can influence their decision to do business with you. 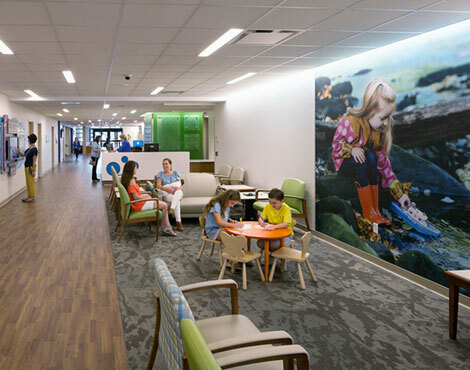 An uplifting environment can improve patient recovery. The look and feel of a dormitory can be a decision factor of a potential college student envisioning themselves at their future university. A properly set up laboratory can influence the efficiency of the staff. We think about how people will use your space and work with you to develop a new environment.